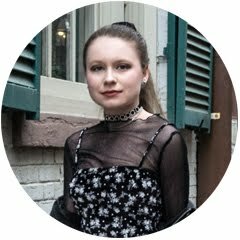 I'm an intern for CollegeFashionista this summer! As a Style Guru, I submit articles each week featuring Fashionistas/os that are then published on the site (www.collegefashionista.com). I've been having so much fun with it! I love capturing style snapshots and writing about what's trending. If you'd like to stay up-to-date with my CollegeFashionista postings, follow my profile *HERE. * Feel free to "RAD" my articles as well. I've linked my past posts down below. STYLE ADVICE OF THE WEEK: Go Grunge! My articles go live each Wednesday so be on the lookout! If being a Style Guru interests you, apply *HERE. * Stay stylin'!